Slovenia celebrates its Statehood Day every year on June 25. This holiday celebrates Slovenia's declaration of independence from Yugoslavia in 1991. At the end of the World War I the Austro-Hungarian Empire collapsed and Slovenia as well as other 5 republics formed Yugoslavia. In December 1990 Slovenia held a referendum on independence of the country, and 88.5% of Slovenians voted in favor of establishing of the Republic of Slovenia. 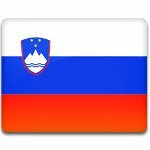 Independence of Slovenia was formally declared on June 26, 1991, but the legislation relating to independence of the state was passed on June 25, thus making it the date for celebration. Statehood Day shouldn't be confused with another public holiday, Independence and Unity Day, that is observed on December 26. Declaration of independence triggered the Ten-Day War with Yugoslavia. The war resulted in signing of the Briony Agreement. According to this agreement, Yugoslavia withdrew its forces from territory of Slovenia, and the latter suspended activities towards declaration of independence for three months. Statehood Day is an official non-working holiday. Schools, colleges and businesses are closed to celebrate the holiday.